Oh man – oh man – oh man. UGH! I was just starting to feel better. No more nausea, no more vomiting; I can finally keep things down and morning sickness was slowly becoming a thing of the past. Then…BAM! I’ve got a cold. That stuffy, achy, icky-ness feeling that I wish would just go away. With so many changes already going on in my body and so many things I can’t do, eat or take during pregnancy, this is just the icing on the cake isn’t it? What can I do? What can I take? Is it worth it, or do I just suffer? Blah…. Luckily, most doctors have a list of “approved” products that are safe for you and the baby. Unfortunately, it’s a rather short list and even shorter during your first trimester. 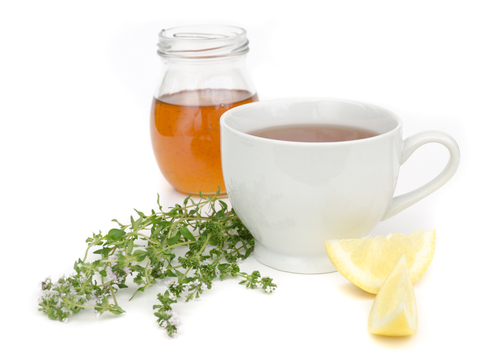 Good-old-fashioned-home-remedies may even work better for you if you’re pregnant with a cold (they always seemed to for me). However, always, always, always check with your health care provider first before taking anything herbal or over the counter. Even if it’s what your mom, your grandma and your great-grandma took and what all your friends suggest. It’s better to double check with the pros and be safe than sorry. You never know for sure what new discoveries have been made in the last couple of years and for the safety of that little one (and you) it’s always best to ask beforehand. There is never such a thing as too many, or too stupid, a question when it comes to your health. That is especially true when it comes to prenatal care. Also, that stuffy nose you’ve got may not even be a cold in the first place. A lot of woman, (around 30%), are congested during their pregnancy, it’s a condition called Rhinitis of Pregnancy, and it has nothing to do with allergies or a viral infection. It has to do with the high amounts of estrogen and blood in your body, causing swelling in the mucus membranes and blood vessels in your nose. This leads to congestion, runny nose, sneezing and mild headaches. Be prepared, you may have it during your entire pregnancy (sorry). I did, the second time around. It’s annoying, but as long as there are no other symptoms it is perfectly harmless. Your risk of sinus infections also increase when you are pregnant, so if you feel pressure, pain, are coughing, have a fever, swelling or any other symptoms, contact your provider for help. Another culprit is those pesky allergies that you had before the pregnancy. They run amuck once you get knocked up and can increase in potency. There are a few medications a doctor can prescribe for you that are safe to take, but it may be best to just try to stay away from the source for a while, considering that you can get pregnancy rhinitis on top of any of these lovely illnesses. What you can do is this: keep elevated and use pillows, pillows and more pillows. Take them all from your partner. You’re allowed…seeing as you are probably kicking off all of the covers anyway, it’s a fair trade. Drink plenty of liquids and hang out in your warm bathroom after a shower for a bit or wet a washcloth with warm water and breath through it for a while. It’ll be a nice soothing relief from congestion. Some people like saline drops or spray (Saline only! No added stuff) to clear everything out. Vaporizers and humidifiers also work well at night; just make sure you clean them regularly. 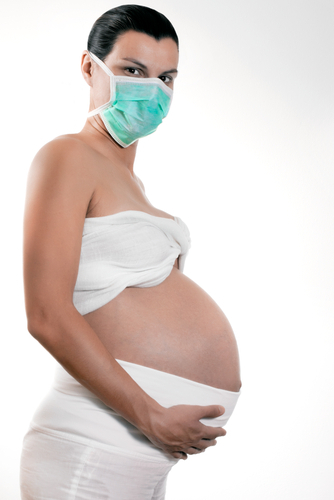 The last thing you need if you’re sick while pregnant is more irritants and bacteria floating around. Also, avoid anything that may be an irritant. Do your work out indoors on days when the air quality is poor. Stay away from smokers, paint and chemical fumes (which you should be doing anyways) and get your partner to dust and clean any mold and/or pet dander from inside your home. As mentioned before, there are so many different methods and home remedies out there. I’ve only mentioned a few. 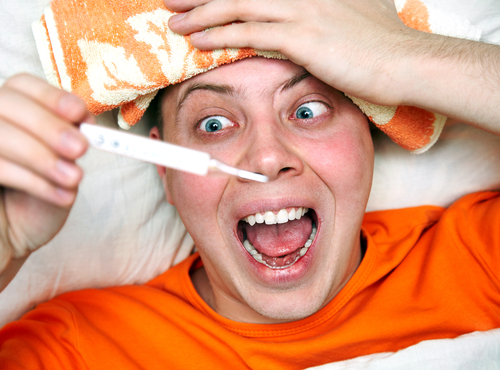 What are some of the methods you use when you’re pregnant with a cold? What Holy Grail of discoveries can you offer those sick in the morning (afternoon, evening and sometimes midnight)?